Thomas Falk gave me this as a christmas present in return for sponsering charity. 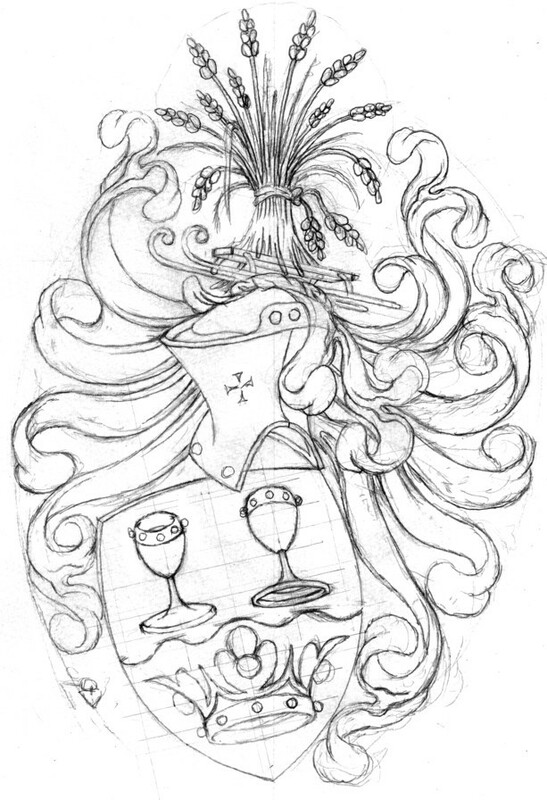 I ordered Davor Zovko to draw a reinterpretation since I collect drawings of my coat of arms. 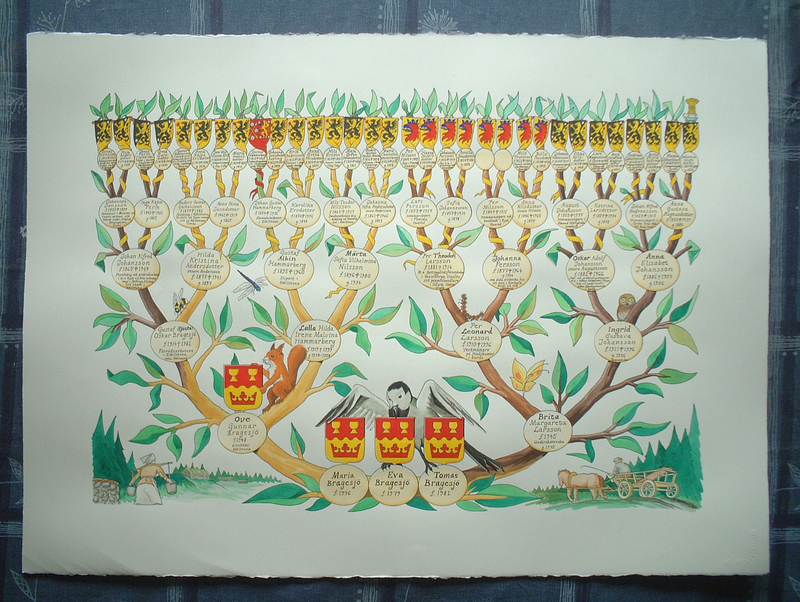 This is the version I like best, apart from my family tree. Note that the sleigh is a kicksled and that the wheat sheaf ("garb" in heraldy terms) is tied with a green ("vert" in heraldy terms) stem with two green grain ears. Jochen Wilke made a special extravagant experimantling version inspired by my coat of arms in return for sponsering charity. However that image is copyrighted so its not on my site. Wilkes version somehow ended up at German Wikipedia but I am not shure who put it there, I belive that Wilke uploaded it there. 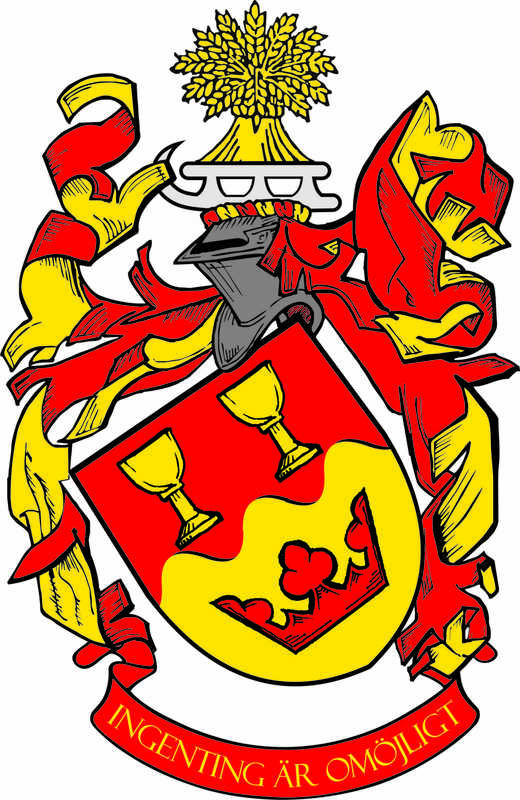 In 2018 Eduardo Pazikas and I worked together for an article in Svenska Heraldiska Föreningens magazine Vapenbilden about inspiration from other coat of arms he made an simplified interpretation of my coat of arms for use in that article. It is in pdf format. 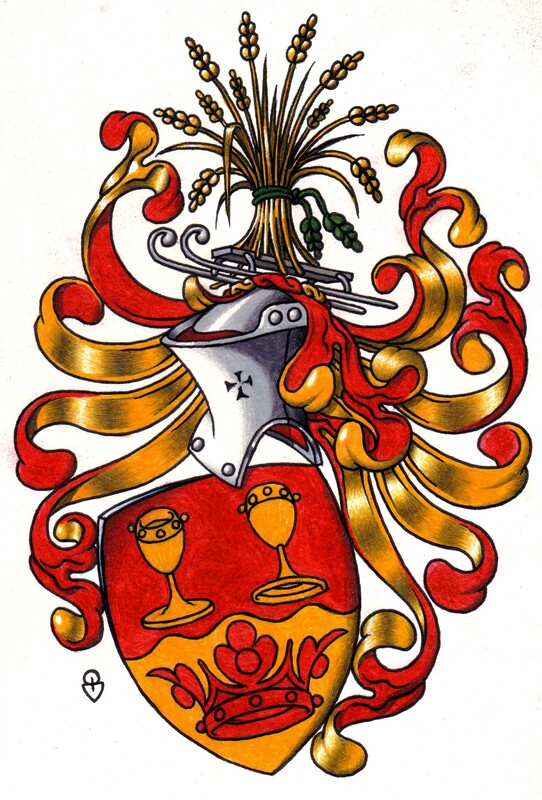 The shield of my coat of arms has also been drawed by Ronny Andersen for Svenska Heraldiska Föreningens members coat of arms matrikel. There might even exist additional versions by other artists that I have not been involed with. 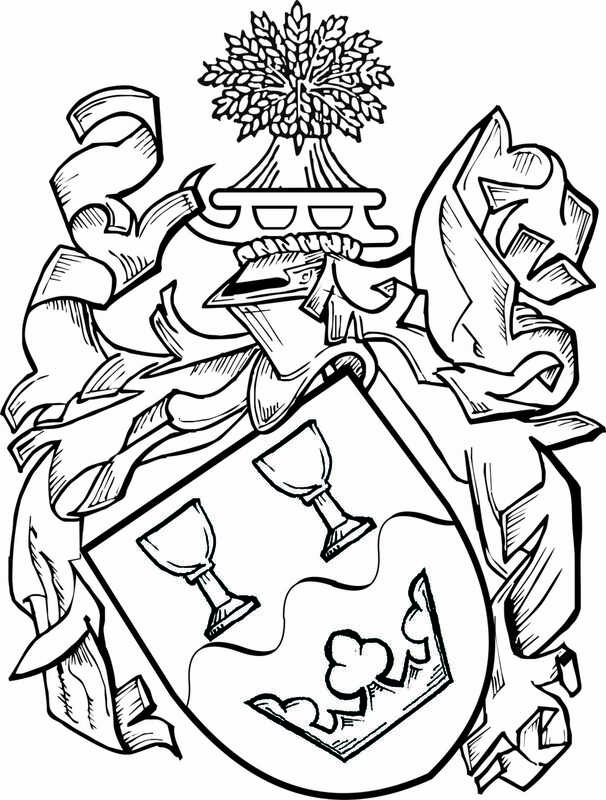 Magnus Bäckmark made the simplified coat of arms bellow for Svenskt Vapenregister who added it into the register in 2008 as SV 11. Black and white preliminary by Davor Zovko. Black and white preliminary by Thomas Falk.